Everybody loves a little sparkle. Add some shimmer to your bedroom with our sequin embellished duvet set. 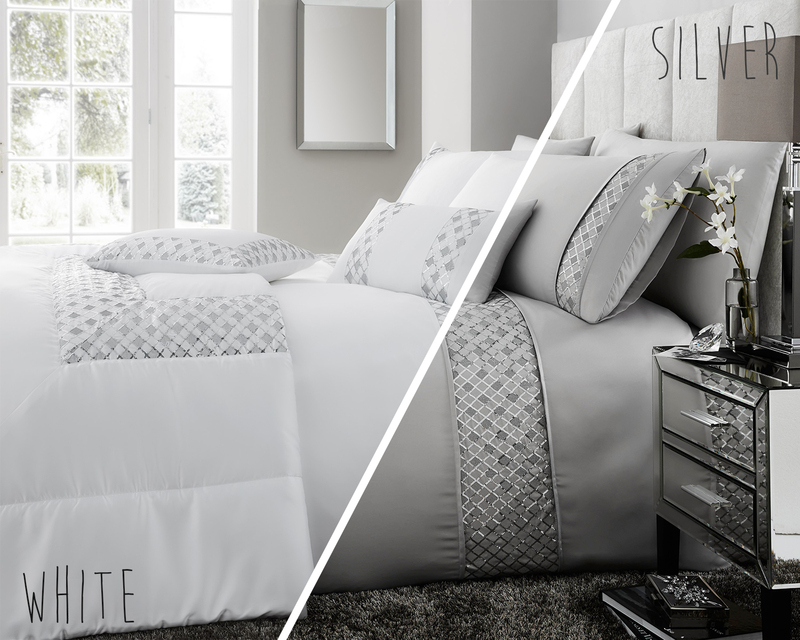 This glamourous white or grey design is sure to create an impact in your bedroom.